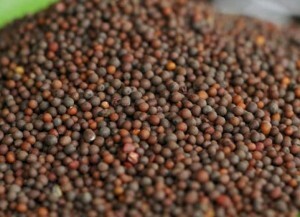 The oil which is extracted from mustard seeds is known as mustard oil. There are 3 types of oil which is extracted, an essential oil, a fatty vegetable oil and one which is infused with base oil like soybean oil. The fatty vegetable oil is pungent, made from the seeds and the essential oil is made by distillation. 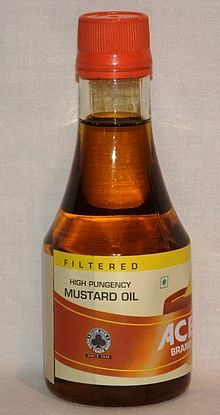 Pure mustard oil has a very strong aroma that can agitate the sinus. 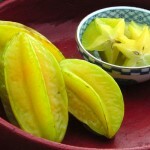 Though some western nations prevent its consumption, it is widely used in south Asian countries like India in cooking. 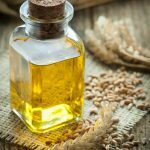 Where to buy Mustard seed oil? Color : Crude oil is dark brown but the refined one used for cooking is yellow in color. 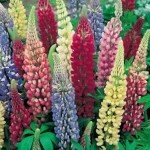 Aroma : It has a very strong and pungent smell. Taste : It has a hot and spicy taste. 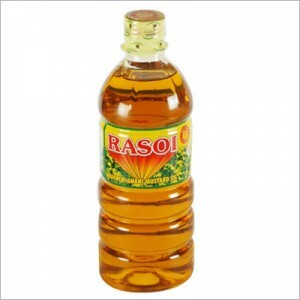 Smoke Point : 489 degree F and 254 degree C.
Mustard oil is known as “Kadugu Ennai” in Tamil, “Aava Noone” in Telugu and “Sarson Tel” in Hindi. Nutrition derived from 1 tablespoon of mustard oil is represented below. 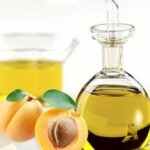 Pungent oil is extracted out by cold press method. 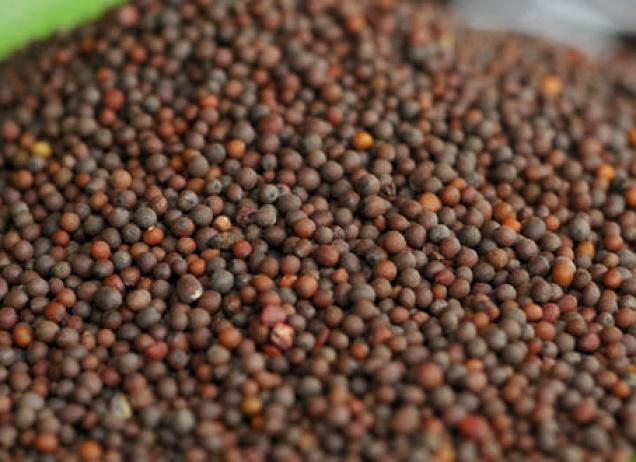 The essential oil is again extracted by using steam distillation process of soaked mustard seeds. Some benefits of this oil have been listed below. Anti-bacterial – It has antibacterial properties which can keep the urinary tract infections at bay. Ant-fungal – It also restricts fungus growth as it contains allyl isothiocyanate which is an agent which combats fungus. Removes Toxins – For flushing out toxins, salt and water from body, it can be applied as it induces sweating and reduces body temperature. Revitalize Sensation – Organs that are numb or have no sensation can be treated using this oil as it can stimulate it externally. Appetizer – It can be an effective appetizer, inducing hunger because it can stimulate intestines. Improves Digestion – Mustard oil can be an effective digestive agent as it can help liver and spleen to produce gastric juices. Warming Up – During winters, mustard oil can be a great savior helping your body to remain warm and keeping it free of phlegm. 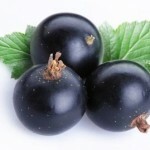 Health Tonic – This oil is also considered to be a health tonic in aayurveda that increases immunity. Gum Strengthening – For preventing tooth decay and strengthening of gum, it can be rubbed on it. 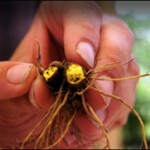 Anti-cancer – In organic form, this oil has been found to have anti-cancer properties. Prevents Coronary Diseases – Studies have shown that if taken in correct proportions it can restrict the tendency of coronary diseases in humans. For Hair – Mustard oil has been traditionally used for hair growth as it has beta carotene which transforms into vitamin A that stimulates growth of new hair. 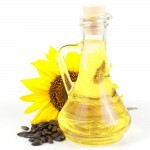 Fatty oils strengthen hair follicles which arrest hair-loss. Hair packs and oil made by boiling it with henna leaves are great for faster growth of hair strands. 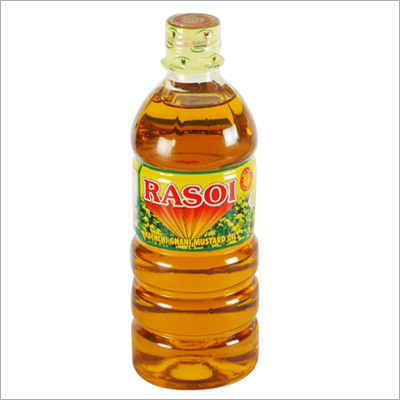 For Skin : Massaging skin with pure mustard oil relieves from dry skin and it is also good for treating ring-worms. It also induces warmth in the body through skin. 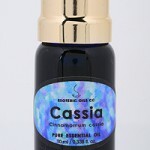 Massaging this oil leaves you with a soft, wrinkle-free and glowing skin. 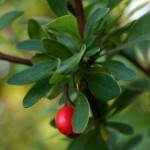 Although it is banned in the United States for presence of erucic acid, it is edible in South Asian countries like India, Bangladesh and Pakistan. It is used for making vegetarian and non-vegetarian curries in many Indian states. Bangladeshi cuisine too heavily depends on it for making fish delicacies like ‘shorshe bata ilish’, as it imparts a strong flavor to it. It is a primary ingredient for making pickles. Jalapenos can also be marinated in this oil and fishes can be poached in it. 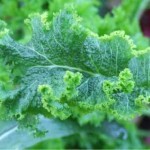 It can also be used salad dressings along with lemon, honey and coriander seeds. Chinese cuisine makes use of it for cold dressings. 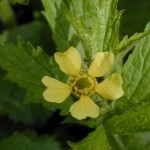 It is an ingredient for making ‘mostarda’ which is an Italian fruit condiment. No distinct medicinal uses of this oil have been found but it is an active ingredient used in naturopathy and other traditional treatments. It is used during Punjabi weddings as fuel in Jaggo pots and also on several Hindu ceremonies like Diwali for lighting ‘diya’ or earthen lamps. 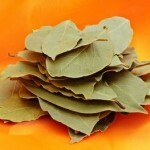 It is used in the preparation of cosmetics applied on the bride before the wedding in the ritual called Mayian. A sticky mixture made using this oil is applied in Indian musical instruments like ‘Dholki’ and ‘Dholak’ to oil their membrane for improving the sound quality of the drums. For welcoming guests, newly wedded couples and for celebrating victory, mustard oil is oil poured along the side of the entrance of the house. Pure mustard oil is used for massages in babies and adults, as it improves blood circulation. For keeping insects and pests out, you can use it in vaporizers and insect repellant. Taylor Bay Scallops with mustard oil and uni. Since ages, women have consumed mustard oil in such conditions but some irritation might occur in rare cases for which it is best to consult a physician before consuming it or externally applying it. Allergies may occur in sensitive individuals those are allergic to certain food. Careful consumption does not lead to any serious consequences but the mucus membrane can be agitated in some, for which care should be taken. As a substitute, mustard paste can be added to the dish. 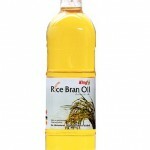 Apart from that, canola oil or sunflower oil might also be considered as alternatives. 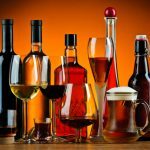 Some studies conducted on rats revealed that erucic acid, which is a component of the oil makes it unsafe for human consumption. As a result of which it was banned in Canada, European Union and United Sates as cooking oil limiting to only external usage. More recent studies have revealed its benefits, which make it superior than many other forms of cooking oil. High quality mustard oil has less saturated fat and can also reduce cholesterol. 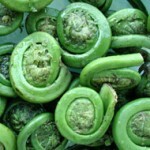 Hence, it can be consumed in moderate quantities. 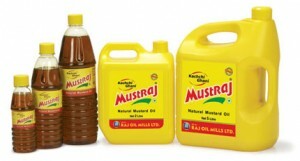 At some of the specialized stores in the United States mustard oil can be purchased. In the Indian subcontinent, it is very commonly sold in any grocery shops. It can cost around $5 per liter in the United States. Take a look at some of the images of mustard oil listed here.